One iconic comedian is weighing in on another, as Jerry Seinfeld makes his opinion of the Roseanne situation known. In a recent set of interviews, including one with Entertainment Tonight, the former Seinfeld star opened up about his stance on the drama that occurred following Roseanne Barr's racist tweet. The Comedians in Cars Getting Coffee host simply believes the spinoff — tentatively titled The Conners — should replace Barr with another comedienne. "I think they should get another Roseanne. They brought Dan Conner back, he was dead, right? And they just brought him back," Seinfeld told ET. 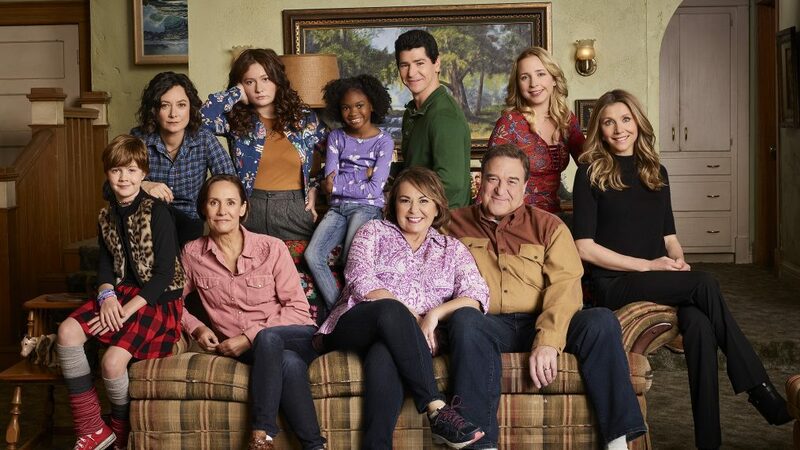 "So, why can't we get another Roseanne? There's other funny women that could do that part. You need to get the comic in there, I hate to see a comic lose a job." That wasn't all the star had to say about the matter, though. Seinfeld further revealed that he didn't believe Barr should have been fired. "I didn't see why is was necessary to fire her," he continued. "Why would you murder someone who's committing suicide?" "I never saw someone ruin their entire career with one button push," Seinfeld concluded. "That was fresh." As for Seinfeld's suggestion, who could in fact replace Roseanne? Check out our list below of potential options. The comedienne is currently starring alongside Frankie Shaw in the Showtime series SMILF, but according to Variety Shaw revealed that Barr was initially set to play her character's mother, Tutu. Since this revelation, it seems only fitting that O'Donnell become a contender for a potential Roseanne replacement. So, the idea that Melissa McCarthy could replace Roseanne may be a long shot, but the actress is no stranger to transforming for comedy. Between her stints on Saturday Night Live and her time on Mike and Molly, McCarthy's familiarity with sitcoms and live audiences would make her an ideal candidate. Formerly a producer on the Roseanne revival, the comedienne couldn't necessarily play Roseanne, but she could fill the female comic gap that's been left behind. Her recent role in black-ish clearly implies she's has a good relationship with the show's network, ABC. She may not be able to pull off the role of Roseanne, but her kooky character on Grace and Frankie definitely implies she'd be a hilarious addition to the sitcom. Maybe she could play a relative of Roseanne? Again, she may not be able to play Roseanne per se, but this titan of comedy knows how to bring the laughs, and could easily fit in with the cast of The Conners. The comedienne's wide range makes her a desirable candidate for a role on the buzzed-about series.